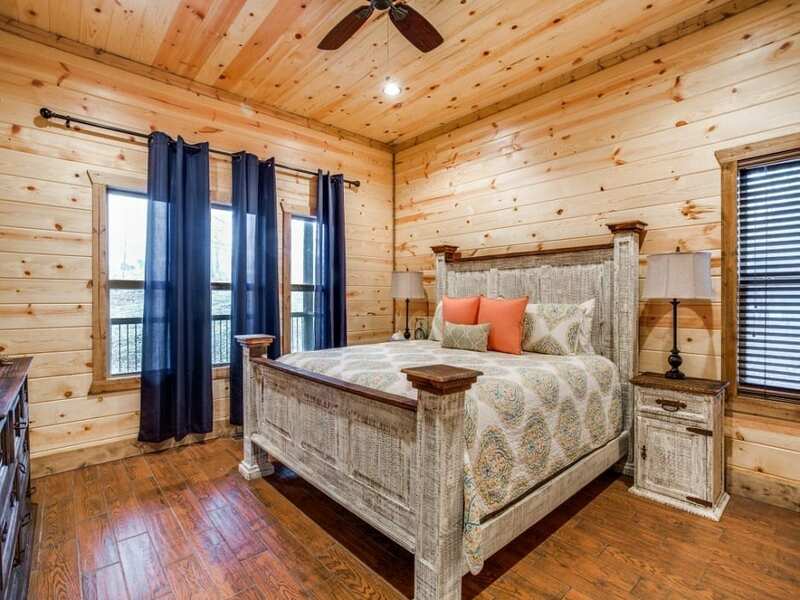 A Little R & R is a two-story cabin featuring 4 master-suite bedrooms, each with a master bathroom, and can accommodate up to 14 guests. Arrive to find a large circle drive, designed for easy parking of a boat or ATV trailer. 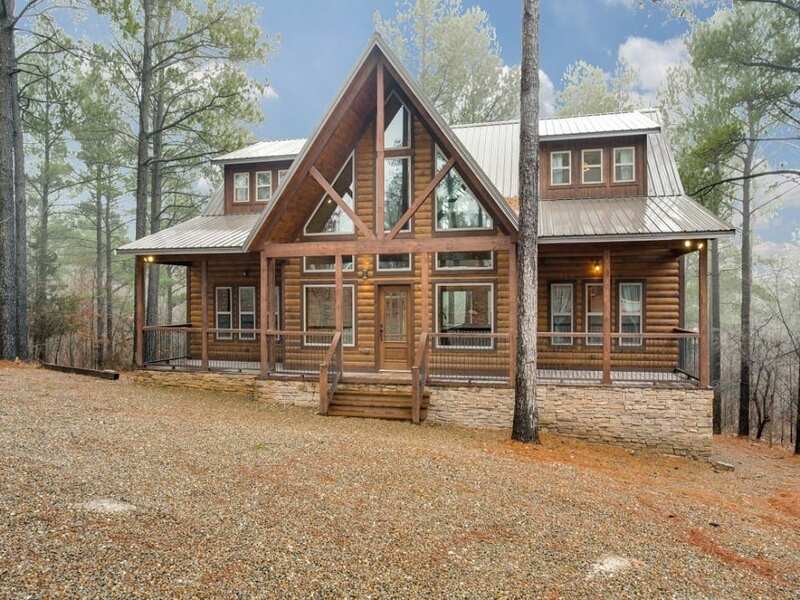 This stunning cabin, with two story floor-to-ceiling windows covering the north and south ends, ensures rest and relaxation for duration of your visit. 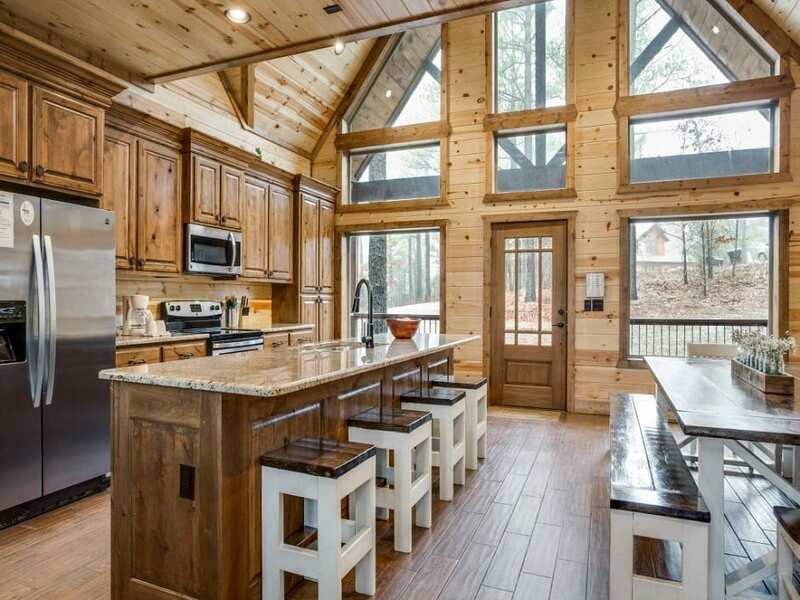 Walk into the open concept of the kitchen, dining area, and living room, designed especially for indoor group gatherings. 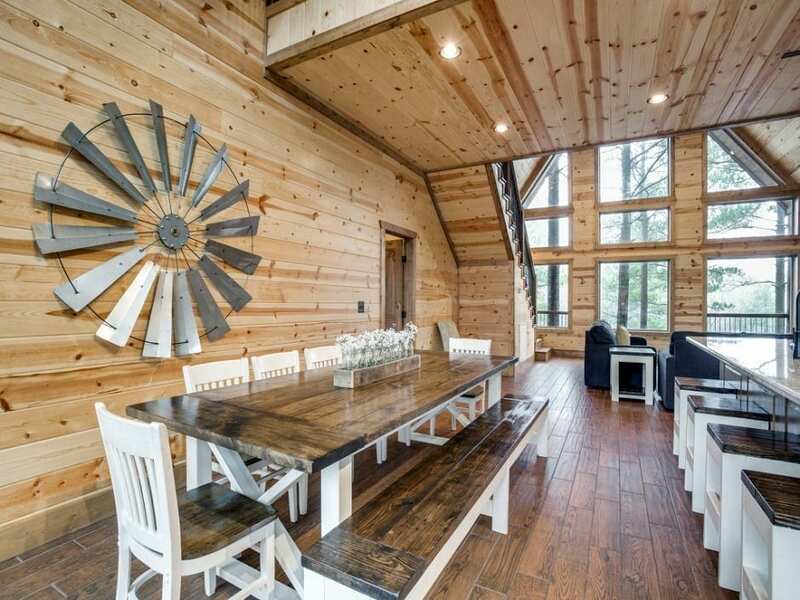 An oversized custom-built farm table can accommodate all your meal-time gatherings. 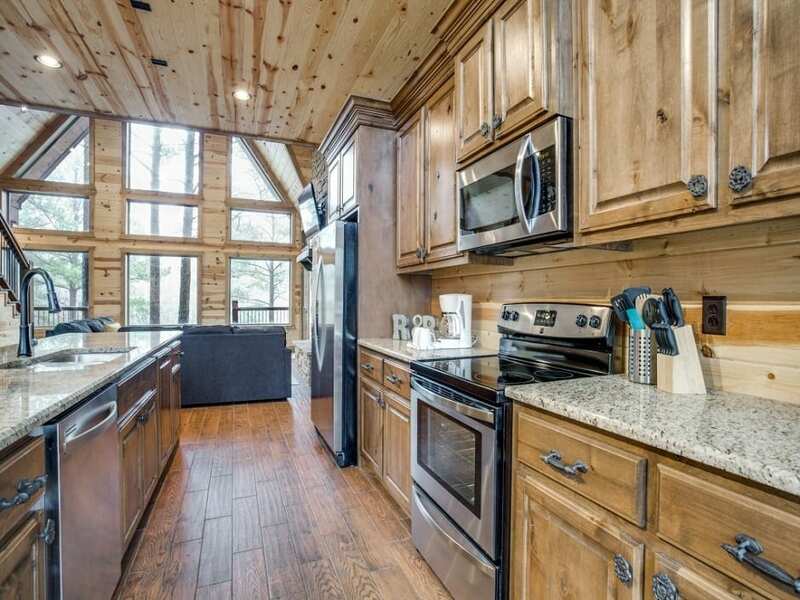 The open galley kitchen with a 10’ granite island and stainless steel appliances allows for every one to be involved while grabbing a snack or preparing a meal. 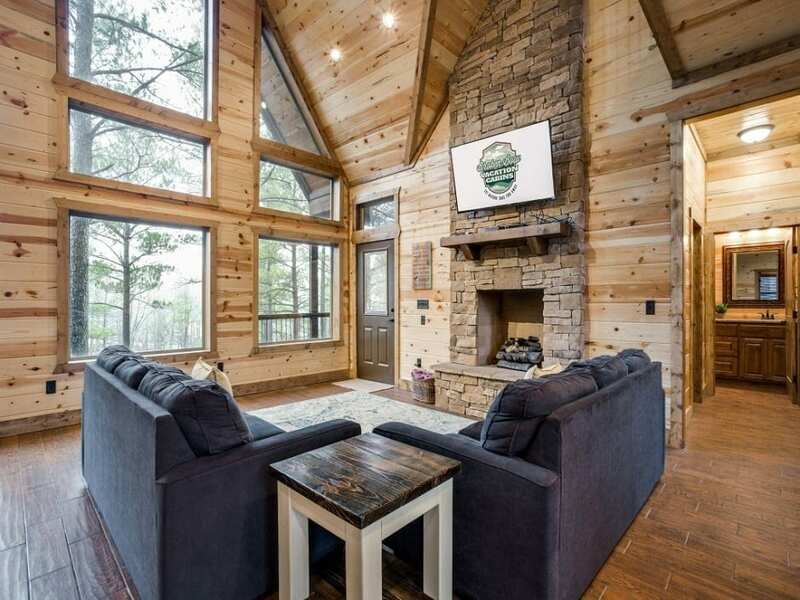 Sink into the plush leather sofa in the living room to view your favorite program on the 55” HDTV with Direct TV (PPV not available) and Blu-Ray DVD player that hangs on the dry-stacked rock gas fireplace. 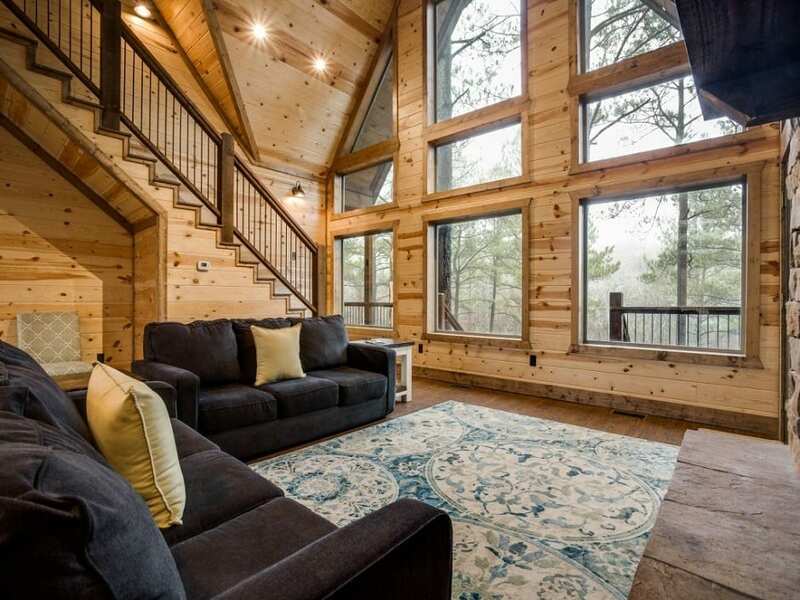 Floor to ceiling windows overlook the back deck and the mature pine trees of the landscape. 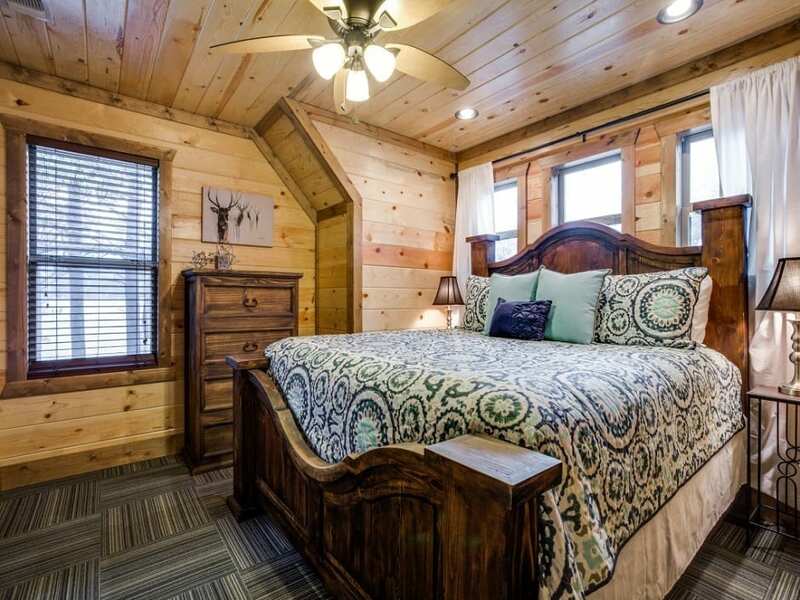 Downstairs you will find 2 of the 4 master suites with king-beds and memory foam mattresses. Wrapped in luxury linens and quilted bedding, you are sure to experience a restful night’s sleep. 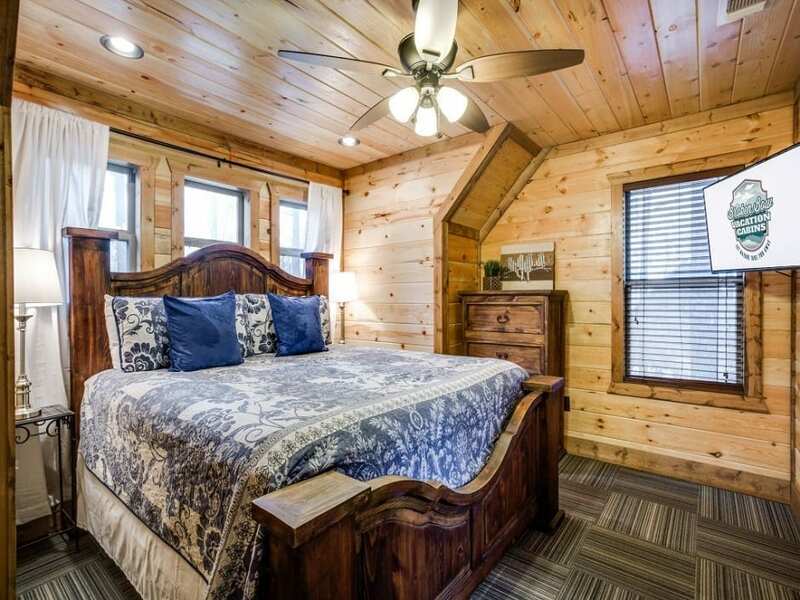 Additionally, within these spacious bedrooms, you will find HDTVs for your personal viewing pleasure and large chests of drawers to accommodate belongings. 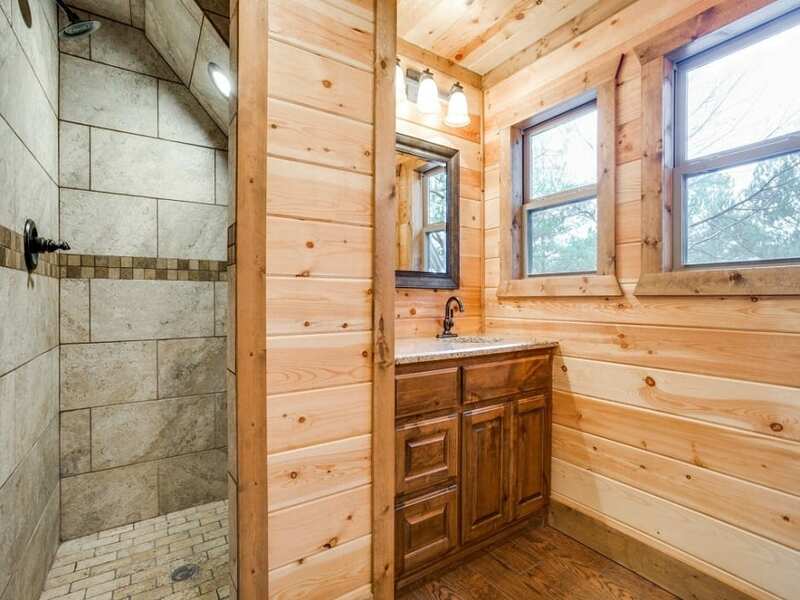 Beautifully stained rolling barn style doors separate the master bedroom from the private master bath, which have custom tiled walk-in showers and double sink granite countertops. 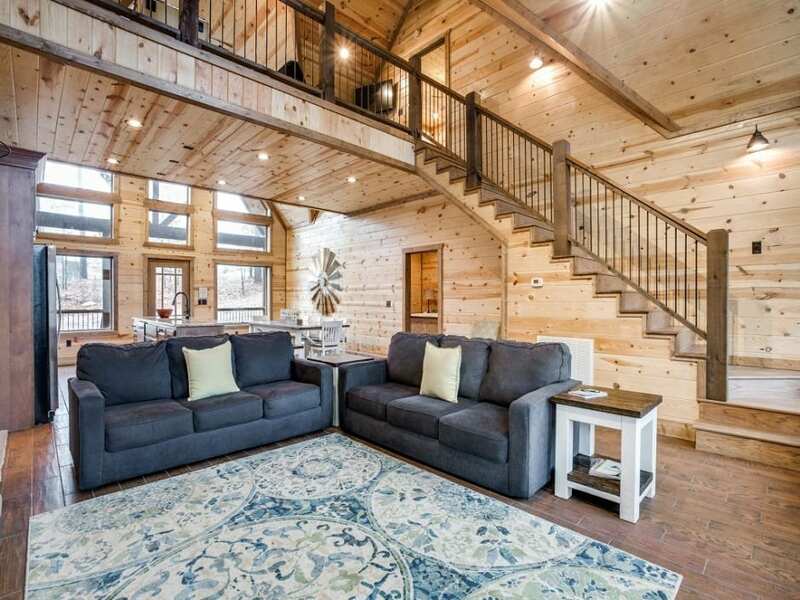 Up the stairs you will notice high-vaulted ceilings as you step into the game room/loft area. 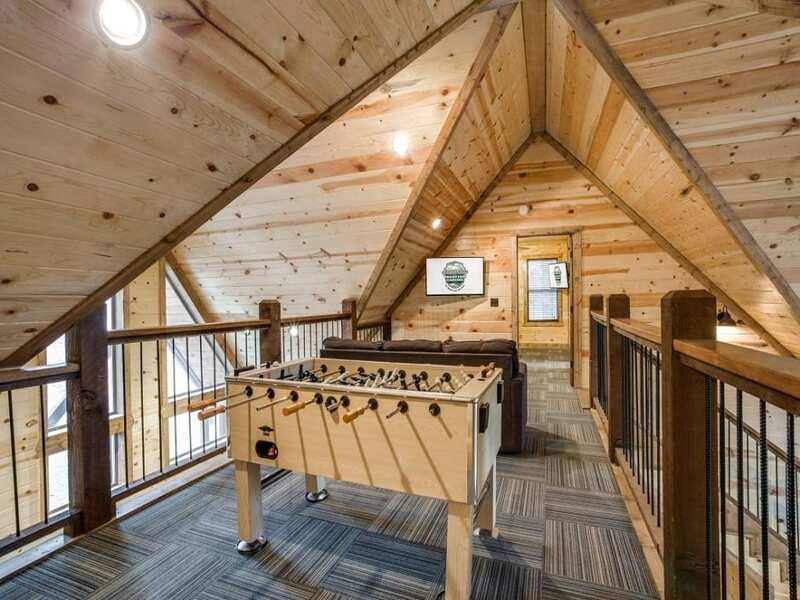 This separate, but open, play area contains a foosball table, pullout sleeper sofa and HDTVs with Direct TV package. 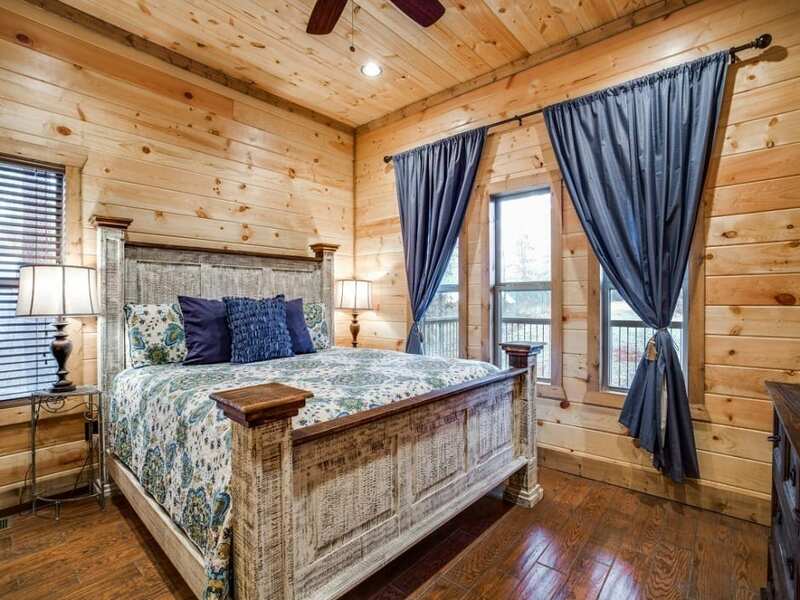 Two of the 4 master suites are located on the second floor also furnished with large king size beds and memory foam mattresses wrapped in luxury linens and quilted bedding. 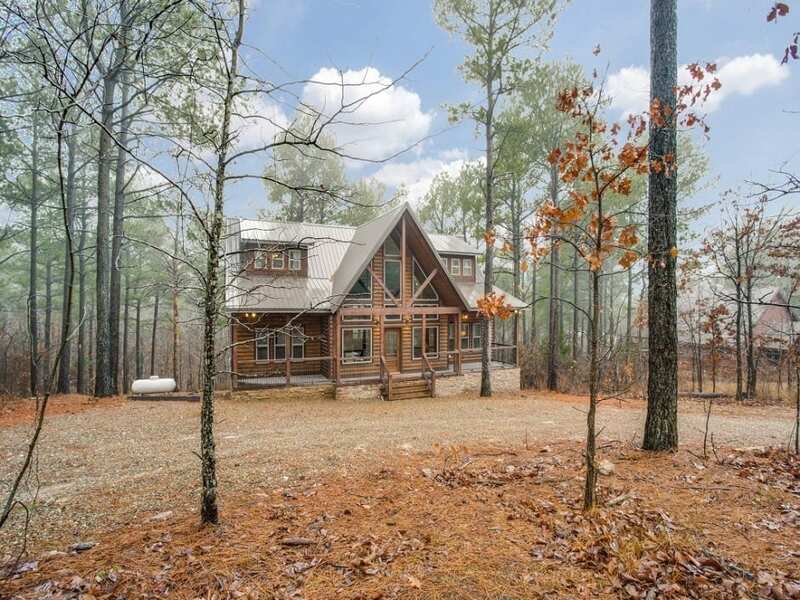 This, A Little R & R sanctuary sits on 1.5 acres and backs up to a small creek, providing the beauty of nature backyard. 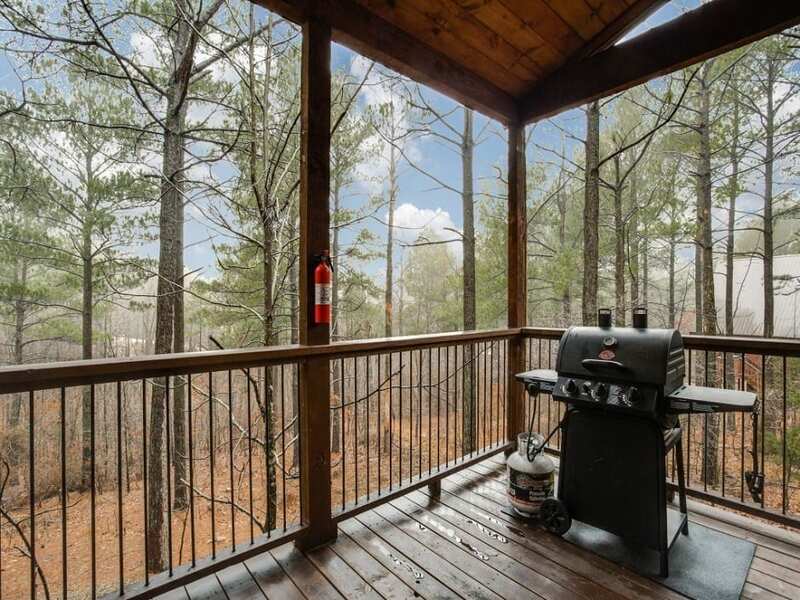 A 6 person hot tub (drained and sanitized after each rental) along with a gas grill (propane provided) is available on the back porch. Down to the ground area you will find a fire pit to enjoy the traditional campfire for making memories and s’mores. 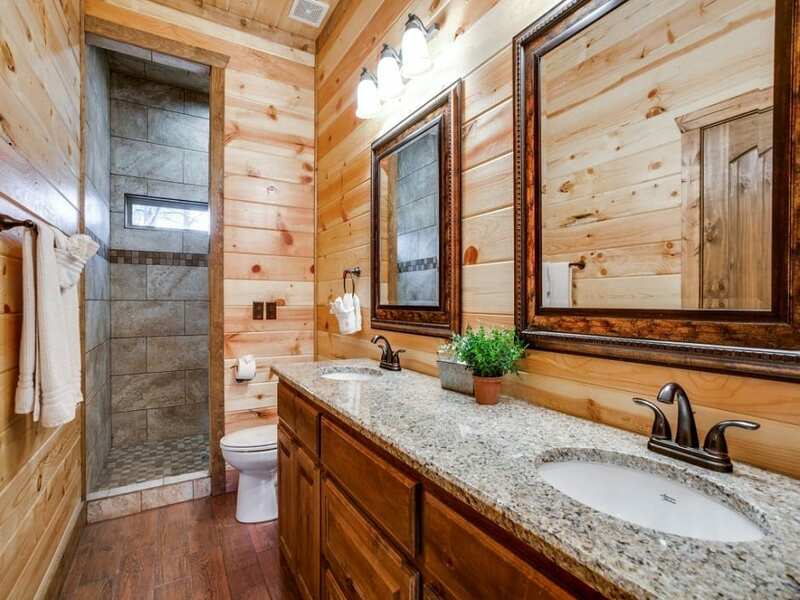 A Little R & R is located in the Timber Creek Trails South development. 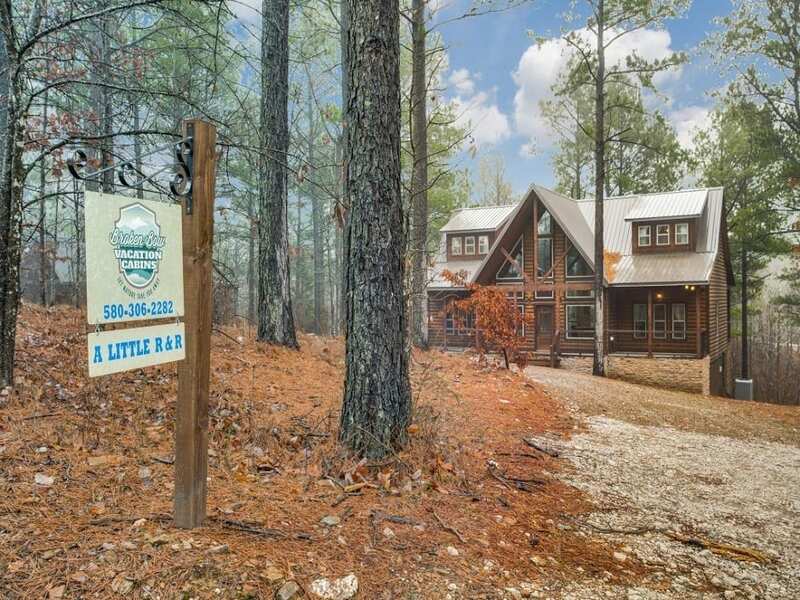 You will find this cabin in an ideal location with only a two-minute drive from restaurants, wineries, breweries, the local distillery, Broken Bow Lake, and Beavers Bend Park. 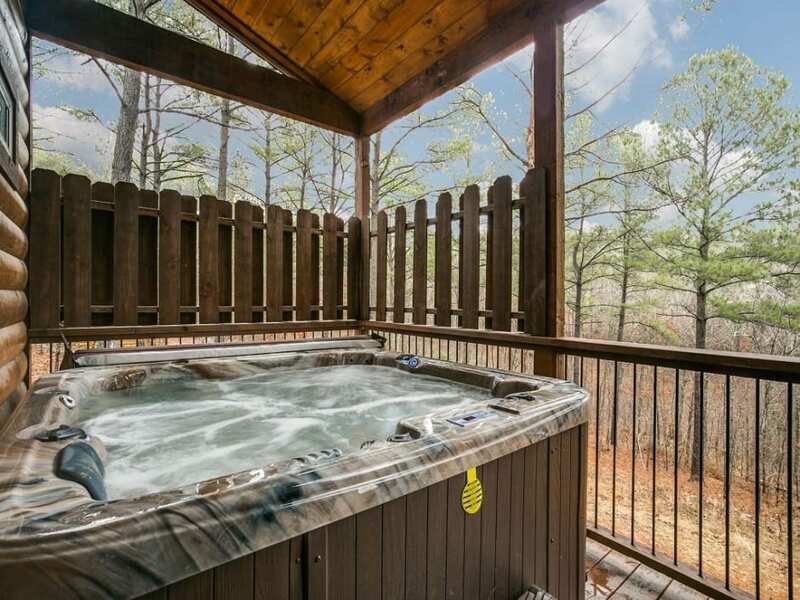 So, whether your vision of relaxation is in a soft, cozy oversized bed, hanging out inside or perhaps outside with friends and family, sitting in a spacious hot tub, or visiting one of the local attractions, A Little R& R is designed just for you. 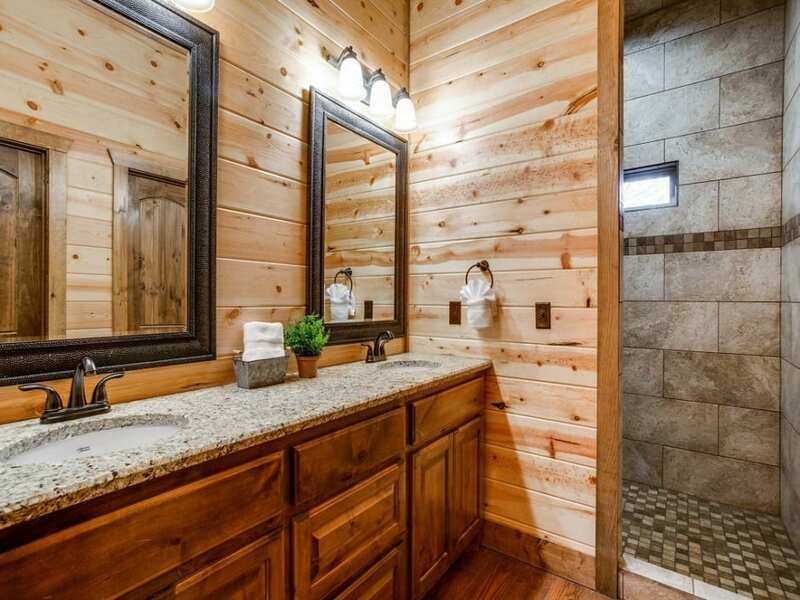 We hope A Little R& R with Broken Bow Vacation Cabins will be your vacation destination for years to come!